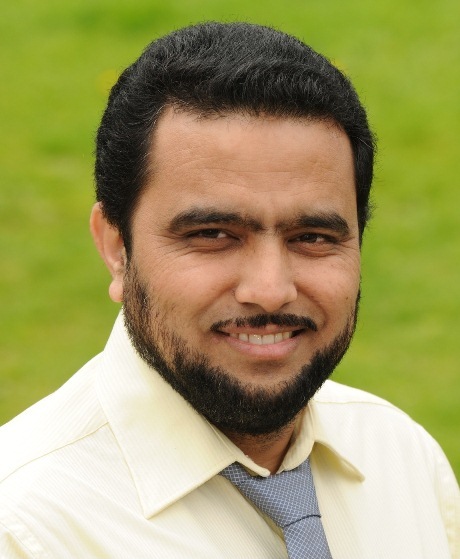 Dr. Zahoor Ali Khan is currently working as a Division Chair of Computer Information Science (CIS) and Applied Media divisions at Higher Colleges of Technology, United Arab Emirates. Previously, he holds different academic positions at Dalhousie and Saint Mary's universities, Canada. Dr. Khan has 18+ years of research and development, academia and project management experience in IT and engineering fields. He has multidisciplinary research skills on emerging wireless technologies. His research interests include but are not limited to the areas of e-Health pervasive wireless applications, theoretical and practical applications of Wireless Sensor Networks, Smart Grids and Internet of Things. His research outcomes include several journal papers, book chapters, and numerous conference proceedings, all peer-reviewed. The journal papers have appeared in prestigious and leading journals: IEEE Transactions on Industrial Informatics, IEEE Sensors Journal, IEEE Access, Springer's Wireless Personal Communications, Springer's Annals of telecommunications, MDPI's Sensors, Springer's Journal of Ambient Intelligence and Humanized Computing, Springer's Wireless Networks, Oxford University Press's The Computer Journal, Wiley's International Journal of Energy Research, ELSEVIER's Energy and Buildings, Springer's EURASIP Journal on Wireless Communications and Networking, MDPI's Applied Sciences, Inderscience's International Journal of Ad Hoc and Ubiquitous Computing, SAGE's International Journal of Distributed Sensor Networks, Springer's Journal of medical systems, Hindawi's Mobile Information Systems, ELSEVIER's Computers in Human Behavior, Hindawi's Mathematical Problems in Engineering, MDPI's Energies and Springer's Lecture Notes on Data Engineering and Communications Technologies. Most of his conference papers have been published by IEEE Xplore, Springer or Elsevier and indexed by Scopus and Thomson Reuters' Conference Proceeding Citation Index. Several conference papers have won the best paper awards (BWCCA 2012, IEEE ITT 2017). List of his latest publications can be found at dblp or google scholar. Dr. Khan is an editorial board member of several prestigious journals. He also serves as a regular reviewer/organizer of numerous reputed ISI indexed journals, IEEE conferences, and workshops. He is a senior member of IEEE (SMIEEE) and IAENG. Please click on the links at the top of this page to access the other parts of the website.